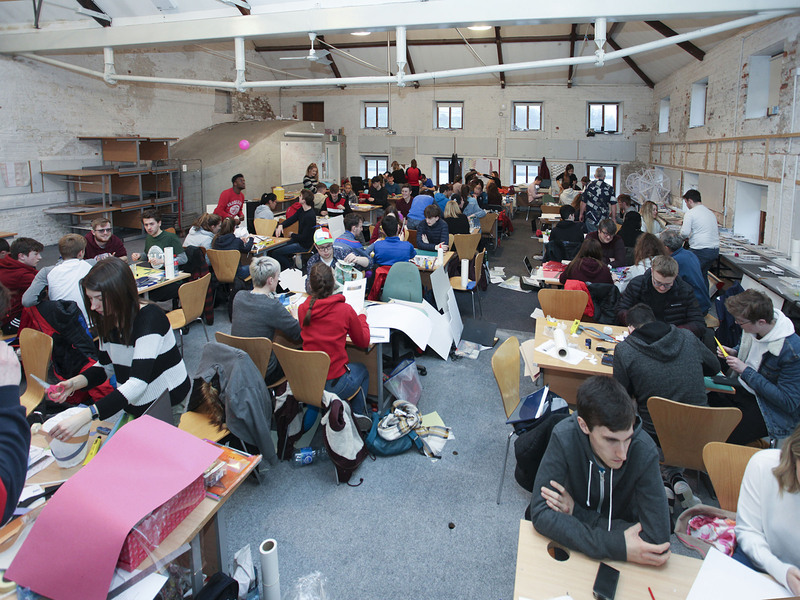 More than 60 second level students spent a day at WIT's Department of Architecture's city campus at the Granary, experiencing what it would be like to study on one of the institute's three architecture courses. ‘Try Architecture’ proved to be a hugely popular event, booking out in a matter of days. The lucky students who attended spent their morning in the 1st year Architectural Studio where they worked on a small design project with staff and students of 1st year Architecture. After a healthy lunch in the award winning Granary Restaurant they spent the afternoon in the Architectural Technology and BIM studios where they were introduced to sustainable construction technology and the importance of Computer Aided Design and Building Information Modelling. Speaking about the event, Head of Department Maire Henry said "This is a great opportunity for students interested in the discipline of architecture to get a taste of student life and see what we do in our Department of Architecture." The institute's Bachelor of Architecture (Hons) programme is accredited by the Royal Institute of Architects of Ireland (RIAI) and our BSc Arch BIM Technolofy is accredited by the Chartered Institute of Architectural Technologists". We will be running more open day events and exhibitions and you can register your interest here. If you would like to know more about our programmes, please email [email protected].